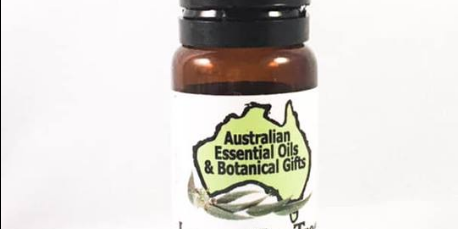 I love the Australian Essential Oil ‘Lemon Tea Tree’, one of my favourites from the range at Australian Essential Oils and Botanical Gifts. I put it in my Diffuser and the room smells amazing. I also put a drop or two in my rubbish bin to remove odours. I put some in hot water in the bathroom basin (or bowl ) and add drops and put my head over the water, towel over my head and inhale the lovely lemon scent which always helps with coughs and colds. I have the range of Australian Essential Oils if anyone would like to try before they buy via the website. I am located in Cleveland, Brisbane South-East. Jenni Nightingale is the owner/operator of the business and is a font of knowledge about her essential oils and the native trees, plants and flowers they are made from. She is located in Tweed Heads, Gold Coast South.